Resolutions, goals, diets... whatever you want to call them, most of us have an idea of what we'd like our new year and our new selves to look and feel like this time around. The time of indulgence has passed along with the holidays, and now it's time to freshen up those plates. Sometimes we have unrealistic expectations or put too much pressure on ourselves, but hey, determination is never a bad quality, right? Us local foodies know the struggle all too well - food is life, food is everything, heck, food might be what gets you up in the morning! SO, with that said, here are some of our favorite healthy options in Orange County for you to still get your foodie fix AND feel like you're exploring the exciting world of good eats and treats. We love Radical Botanicals' fresh meal options, like the savory Zuchinni Linguini made with raw zuchinni, tomatoes, and topped with their creamy sunflower seed and dill dressing. On the sweeter side of things, their 'Avocado Puddin' is unbelievable, including real cacao, coconut oil and... you guessed it, avocado. They also offer what they call a "RadBot" cleanse, their 3-day "Radification Cleanse" which is sure to get your year off to a solid and healthy start. Fruit is nature's candy after all, so swing by and treat yourself. You've heard of take-out, you've heard of delivery, and even personal grocery delivery services, but this is a whole new level. Model Meals offers the ease of convenience of quick take-out and delivery food, but eliminates the processed ingredients and high calorie count. Chef Cathy McKnight has specialized in incorporating the use of whole foods into her daily menus for over 20 years in the restaurant and catering field. Nowadays, the former Chopped Winner and her knowledgable and credible team, focus on their revolutionary meal delivery company: Model Meals. Their vision is simple - to make clean eating mainstream, and easier for anyone and everyone. All of their menu items are Paleo friendly and Whole30 compliant; that means they're made with tons of fresh vegetables, fruits, properly-raised meats mostly by Electric City Butcher, and healthy fats. And, they're completely free of grains, dairy, soy, hormones, refined sugars, harmful chemicals and preservatives. Their weekly menu is consistently changing too, so you never get bored of the same meals, and you can mix and match your proteins and sides accordingly. But, the absolute best part... the prepared meals are delivered directly locally at East End Kitchen in Santa Ana, CA and straight to your front door, every Sunday evening. Yep. It's that easy - no shopping, no cleaning, and no crazy commitments. They're currently delivering to all of LA and Orange County, but are consistently growing. Honestly, we don't know why no one thought of this sooner. This one stop Poke spot is coming to you this spring at one of OC's hottest new foodie spots - Union Market, The District in Tustin. When a lot of people think healthy, they feel limited amongst a world of plain vegetables, salads and flavorless chicken breast. This is just not the case - fresh fish has some of the highest levels of proteins compared to other meats and food, plus eating it raw preserves many of its natural vitamins. 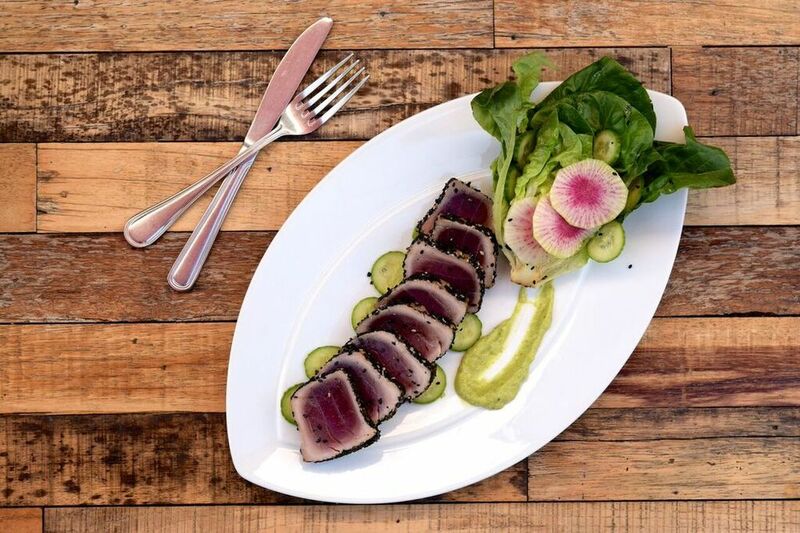 We love anything on their menu involving Ahi. Ahi Tuna Poke is most commonly seasoned with sesame oil, low sodium soy sauce, seaweed and dried pepper. Leaving one serving with almost 20g of Protein, and only 4.2g of natural fats. This is the kind of eating you're going to want to do to fuel your body, maybe post-gym session, or before a long work day in the office. Cubed's Poke is incredibly delicious on top of fresh rice and vegetables, or even wrapped up in one of their Poke Tacos. "I regret that juice cleanse"... said no one ever. Nekter Juice Bars are frequently found all over Orange County and there's a reason - no one does it better. Stop in for mid-day pick me up and grab one of their fresh pressed juices such as 'The Buzz' or 'The Sublime', both of which will provide you with a natural energy boost. 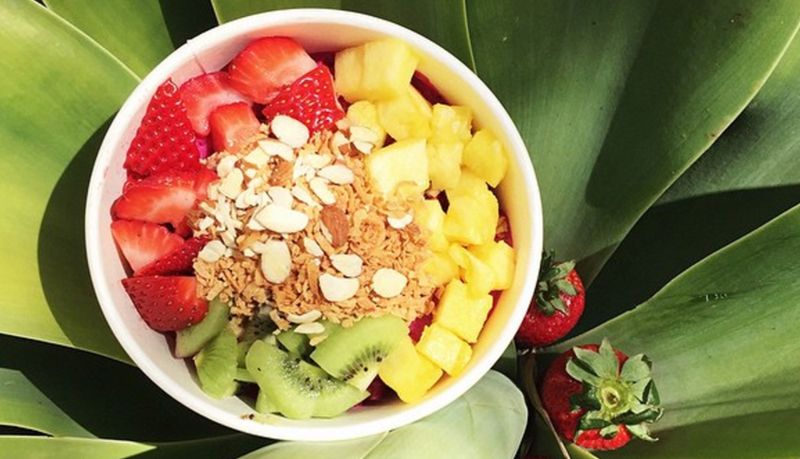 If you're in need of something a little more filling, order a smoothie or perhaps an acai bowl. We especially love the 'Acai Tropical' bowl featuring housemade vanilla cashew milk. If you're looking to go full throttle, their juice cleanses are unbeatable - decide how many days you're up for and they'll set you up. Sometimes our digestive systems just need a break, and Nekter is always there to help you reset your body and break your cravings for processed foods. Make Lemonade's healthy, fresh, and seasonal menu part of your New Year's resolution. Voted one of America's 10 Best Gourmet Chain Restaurants by The Culture Trip, Eater and Zagat, Lemonade features great produce and ingredients when they've reached their peak. Ripe fruits, crisp vegetables, and other seasonal ingredients fill their ever-changing menu with a colorful lineup of salads, pastas, and more. Nobody shows off California flavors better than the team behind Lemonade. At California Shabu Shabu, you're the chef! One of the most interactive dining experiences is also one of the healthiest. Pick and choose your own proteins and veggies, cook away, and dip into their delicious sauces. Feel free to customize your meal to the highest degree. If you've never tried out the whole hot pot cooking style, don't be weary - the team at Cal Shabu is extremely knowledgable and happy to help. Give them a heads up that you're aiming for the healthiest way of preparing your meal, and they'll be sure to assist. By preparing all of your meats and veggies in boiling water and simple seasonings, you're consuming them in a pure, whole form. There's nothing better for your body than to be fueled by real, fresh food. So if you're in the neighborhood, grab a spot at the bar with your friends and cook your own dinner together, at a home away from home.